ISMPP (pronounced IzMap) is the only not-for-profit organization founded by medical publication professionals for medical publication professionals. Since its inception in 2005, our membership has grown to more than 1,500, with representation from all stakeholders involved in the publication of medical research, including pharmaceutical, biotechnology, and device companies, medical publications and communications agencies, medical journal publishers and editors, academia, and professional medical writers. As a professional association, we are different from other types of organizations. By paying annual dues and attending our educational programs such as the annual meeting, our members are truly making an investment not only in themselves, but in elevating the overall profession. What are ISMPP’s vision and mission? What are some recent ISMPP activities and accomplishments? Does ISMPP have any active social media platforms? What is the ISMPP Certified Medical Publication Professional (CMPP)™ exam? Why should I take the exam? For how long is my certification valid? Are there resources available to prepare myself for the exam? What is the format of the CMPP exam? When and where can I take the exam? ISMPP provides significant membership benefits, such as these listed below. ISMPP U(niversity): A monthly educational series featuring hour-long webinars on cutting-edge topics geared towards the medical publication professional community. Member Center: A dedicated, members-only section of the ISMPP website, featuring a searchable membership database, the ISMPP Archive, which holds past ISMPP U and yearly meeting presentations, the Member Tool Kit, and more! Exchange of ideas and best practices: An open exchange of ideas with one's peers is often the best way to learn and grow professionally. 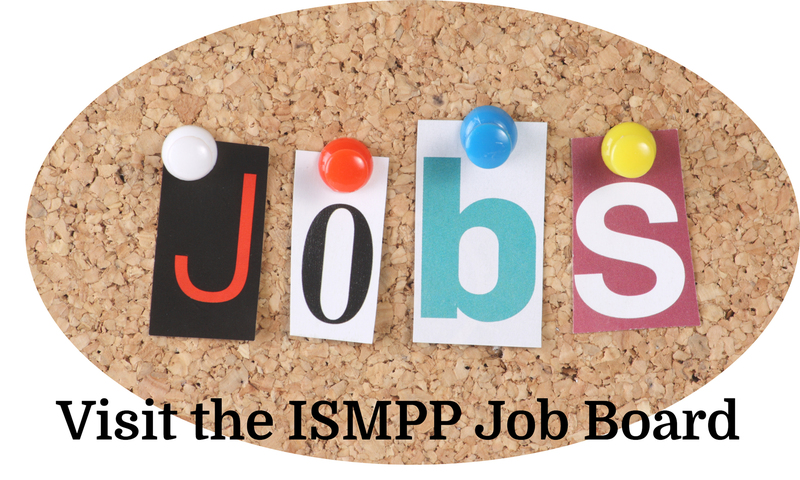 As an ISMPP member, you have many opportunities to interact with one another. Expertise as a medical publication professional. Proficiency in good publication practices. Commitment to ethical and transparent data dissemination standards. Leadership in upholding and fostering integrity and excellence in medical publication. Sponsored Good Publication Practices 3 (GPP3; Annals 2015) to address evolving guidance and ethical developments in publication planning: http://annals.org/article.aspx?articleid=2424869. Sponsored Good Publication Practices 2 (GPP2; BMJ 2009) to address legislative, guidance, and ethical developments in publication planning: http://www.bmj.com/content/339/bmj.b4330.long. Co-founded Medical Publishing Insights and Practices (MPIP) Initiative with members of the pharmaceutical industry. More than 1,500 professionals from all sectors of our profession, including pharmaceutical, biotechnology, and device companies, medical publications and communications agencies, medical journal publishers and editors, academia, and professional medical writers. *Associate Membership is only available to individuals who live in the Asia-Pacific region and/or a nation deemed low-income by the World Bank. To learn more, click here. ISMPP has a multitude of volunteer committees to engage members in their areas of interest. An annual member volunteer drive is held each January where members “raise their hands” to participate. Additionally, as a member becomes more active within the volunteer committees, (s)he gains eligibility to run for a leadership position on the Board of Trustees and/or the Certification Board. Please note in order to run for the Certification Board, one must also hold the ISMPP CMPP™ credential. Yes! You can follow us on both Twitter and LinkedIn. Membership is not required to participate and observe. ISMPP has also recently established the ISMPP Community Circle, a society-exclusive platform similar to Facebook, in which members may communicate to the membership or to individuals, provided they have opted-in to the program. Additionally, ISMPP has established a channel on YouTube in support of the ‘ISMPP News Network’ (INN), which features short videos of many Annual Meeting faculty, ISMPP leadership, and several Chairs of various ISMPP volunteer committees. Passing the CMPP exam certifies you as a medical publication professional who demonstrates the required knowledge and expertise in this increasingly specialized field. Becoming a CMPP demonstrates your commitment to upholding good publication practices to ensure adherence to ethical and transparent data dissemination standards. Once earned, the CMPP credential is valid for 3 years. The Candidate Handbook provides details on eligibility, registration, exam preparation, and a comprehensive listing of key references and resources. The Candidate Handbook along with other preparation materials can be found on the ISMPP website at: http://www.ismpp.org/exam-details. The exam is a computer-based test consisting of 150 multiple-choice questions covering the 4 competency domains: Develop Publication Plan, Implement Publication Plan, Foster Ethical and Compliant Behavior in Publications and Monitor Evolving Trends Related to the Medical Publication Profession. The exam is administered at Pearson VUE testing centers worldwide where candidates are allotted 3 hours to complete the exam. Applications for the CMPP exam can be found through the ISMPP website http://www.ismpp.org/overview. Please refer to the Candidate Handbook for full application requirements and submission deadlines. The exam is offered twice annually, during 2 month-long testing windows: March 1-31 and September 1-30, at approved global testing centers. Candidates will receive a web link to a list of available test sites once their application for examination has been processed and approved, and scheduling opens. If you cannot locate a testing site near you, please contact Pearson VUE at 888-252-7904 or email Sharon Willis, ISMPP Certification Director, by email at [email protected] for additional testing site options. Certificants may recertify by earning 30 CE credit hours, over five years, across the four domains: Develop Publication Plan, Implement Publication Plan, Foster Ethical and Compliant Behavior in Publications and Monitor Evolving Trends Related to the Medical Publication Profession. Certificants may choose to sit for the CMPP exam to earn their recertification. The exam must be taken and passed during the calendar year immediately preceding the year that their certification expires. Details about recertification can be found at http://www.ismpp.org/recertification. * Much of ISMPP’s educational programming carries continuing education credit hours applicable toward CMPP recertification. + Please note in order to attend any ISMPP meetings, you must be a member in good standing of the society.